With Any Purchase $30 Or More. Not valid on Holidays. Discount total does not include Meal Tax. Limit one coupon per customer. Please present coupon before ordering. With Valpak® coupon only. Coupon void if altered. Expires 05/05/2019. Welcome to Asia Taste website! 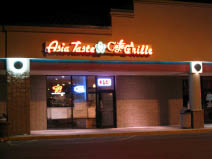 Asia Taste Cafe and Grille specializes in a variety of quality Chinese and Asian cuisine. It is conveniently located on 637 Lowell Street in West Peabody Massachusetts (Hannaford Plaza). We hope this website can provide our valuable customers with easy access to our menu and contact information. Visit our website for more information. Open 7 Days A Week.